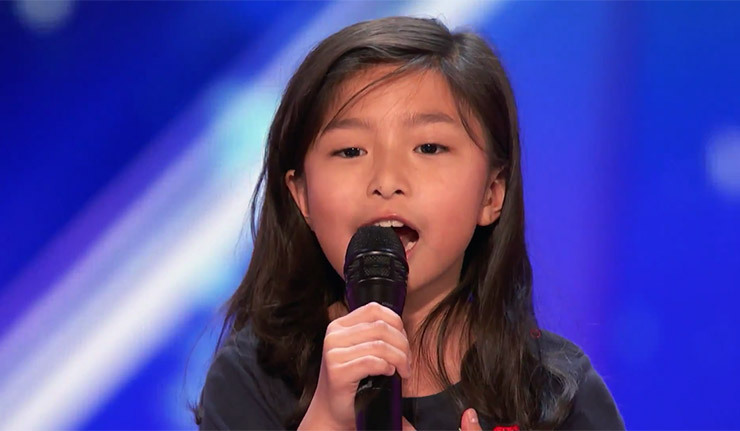 While the young Dion super-fan had no problem charming both the audience and judges with her frequent references to the singer, it’s fair to say that no one would have expected the jaw-dropping performance that followed from the kid. Things really got interesting when Tam reached the 1997 track’s iconic climax, winning a standing ovation from the crowd (not to mention the rare smile from judge Simon Cowell). Tam (whose younger sister is named Dion), told the judges she first realized her own talent while singing along to the classic track in the car with her dad. “He was like, ‘Wow,'” Tam said, as her family watched from backstage. Check out the entire shocking performance, below.